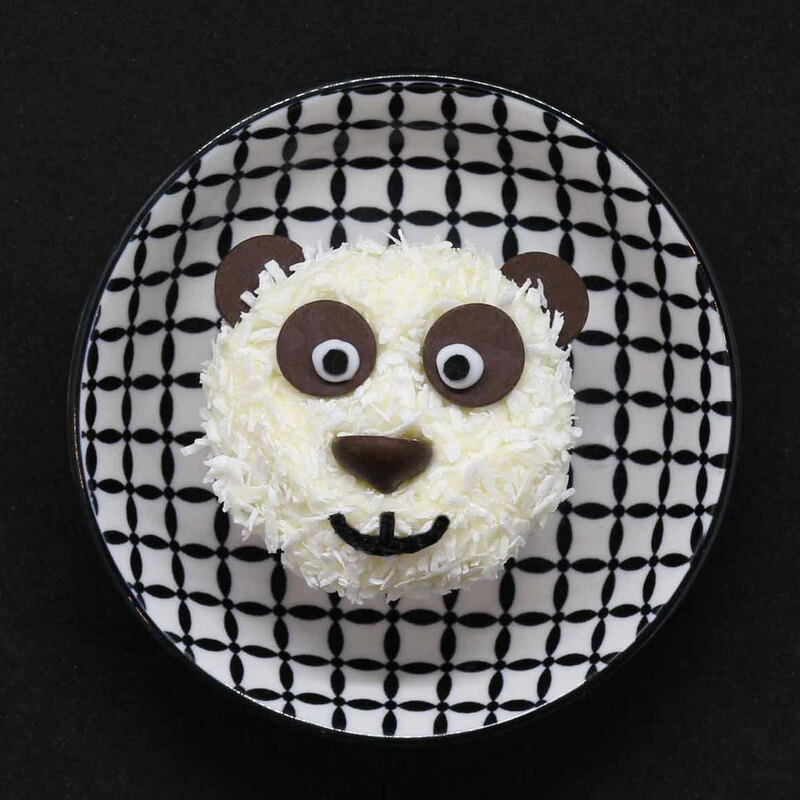 Today we are going to bake this fun panda cupcakes :-) Don't be afraid, they just look this complicated but in the end it's easy to decorate them. First you are baking the cupcakes. 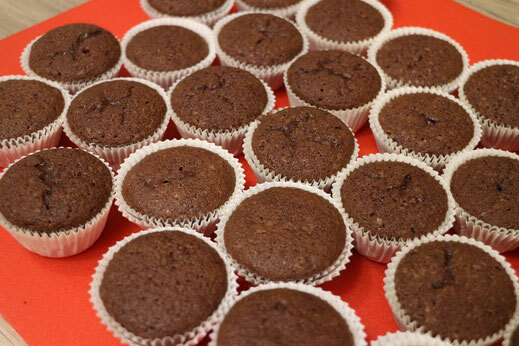 I decided for chocolate cupcakes but any other kind is working good as well. 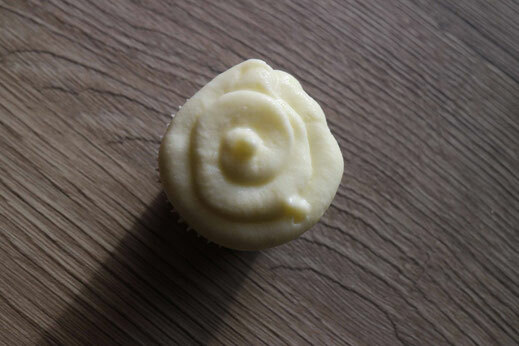 While the cupcakes are cooling you can already create a white frosting. 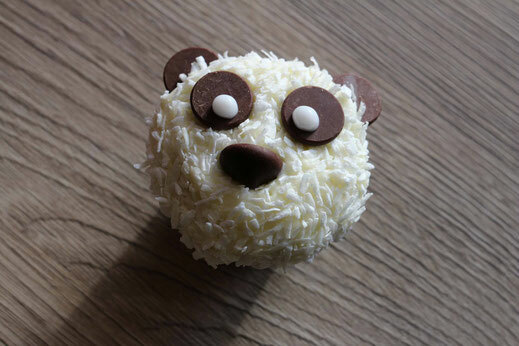 I used cream cheese frosting because it tasts good with shredded coconut. It doesn't have to be to stiff to work for the pandas. 1. 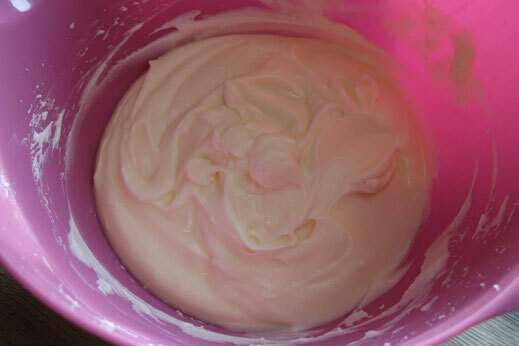 Pipe the cream cheese frosting onto the cupcakes. 2. 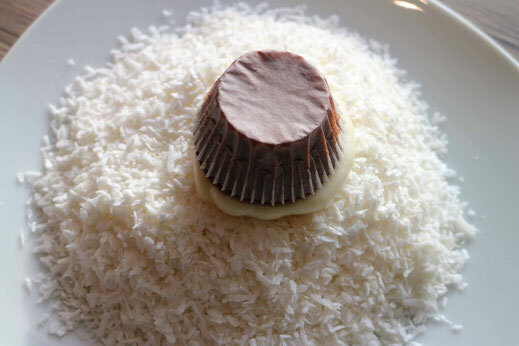 Dunk them into shredded coconut. 3. 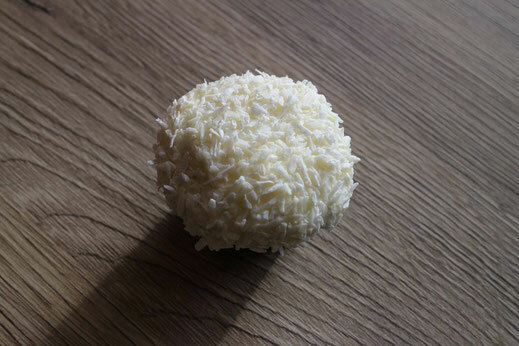 Swirl the cupcake in the coconut shreds till it's evenly coated. 4. 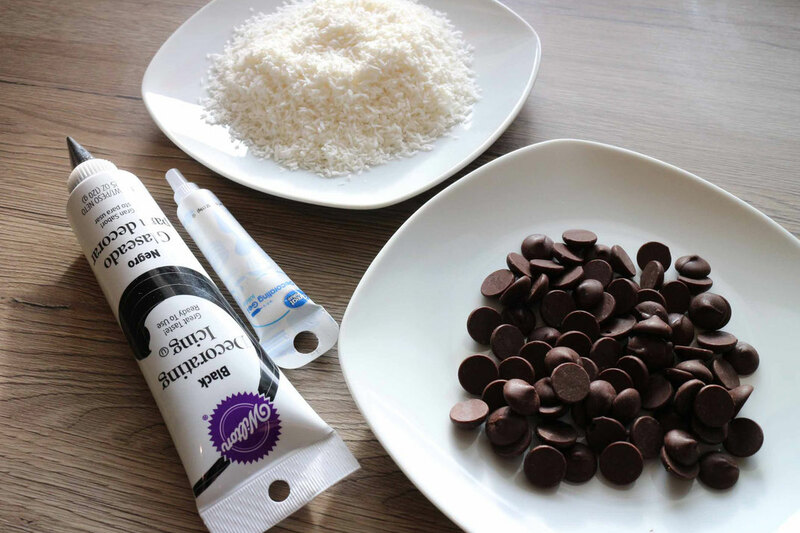 Now assemble the chocolate morsels. Place two with the bottom up as the eyes and one rotated 90° as the nose. Two more have to be stuck into the upper corners as the ears. 5. 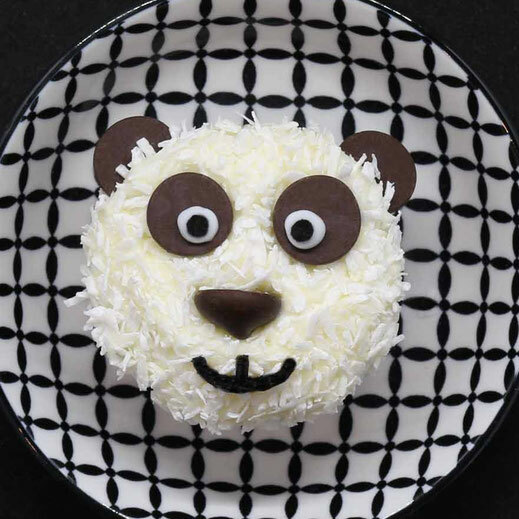 Pipe white icing onto the eyes. 6. Add the pupils and the mouth with the black icing and finished is your panda cupcake.